The 1830’s City of the Falls project was to establish a large residential city at the Falls. This was sponsored by some of the most prominent and influential citizens upon lands known as Falls View. In 1832, James Buchanan wrote a letter to the Honourable Thomas Clark stating that he had seen an advertisement that William Forsyth wished to dispose of his establishments and lands at the Falls. Buchanan suggested Clark and Samuel Street buy out Forsyth and outlined his plans in his letter for the development for this land. This plan would become the basis upon which the “City of the Falls” project was born. An effort to preserve the Falls from vandalism and commercialism that would detract from the natural beauty of the surrounding landscape. For many years and until the 1940’s, Falls View was commonly known and referred to as the City of the Falls. 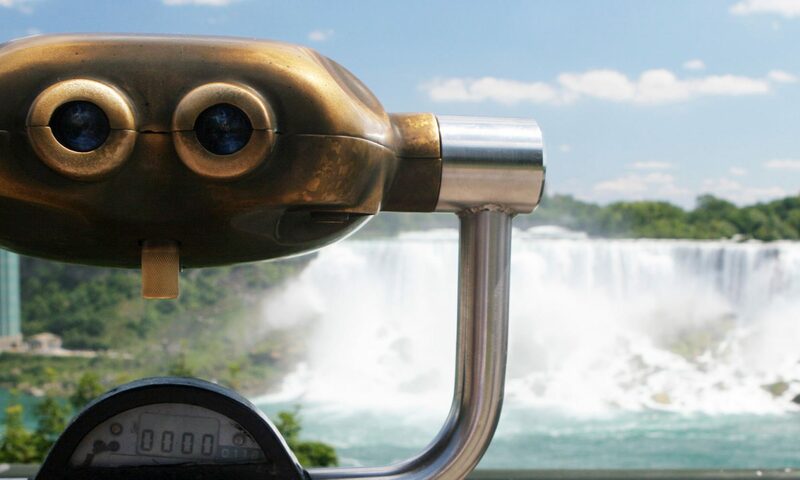 The name Falls View was derived from the fact that trains of the Michigan Central Railroad (Canadian Southern Railroad) had been stopping their trains at this area since 1885 in order to give their passengers a few minutes to view the Falls. The area was located at the top of the moraine, which provided an unobstructed panoramic view of the Falls. This was a popular viewing are for many generations. In the mid to late 1700’s this area was known on maps as “Grand View”. In 1832, the City of the Falls Company was formed by a number of prominent citizens.